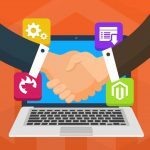 We’ve already reviewed the Cart2Quote Magento 2 extension and below you can find a brief overview of its competitor – Ecomwise Cart Quote Magento 2 extension. This module provides your wholesale buyers to request quotes. After you approve the quote, a customer is notified. Next, he or she can convert the quote into the order and proceed to the checkout procedure. As a store owner and administrator, you can easily view all quotes. Note that quotes can be modified, deleted, or approved. While editing a quote request, the Ecomwise Cart Quote Magento 2 extension allows you to change product quantity, add new items, as well as apply discounts. Furthermore, you can freely create quote requests from the backend! And you can configure quote requests for certain customer groups only. As for customer-oriented features, the extension provides the ability to create quote requests from a shopping cart. 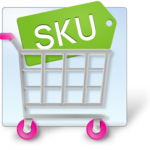 Add a product to the cart and hit the “Request a Quote” button. A new form will be displayed. It’s not the easiest way to create a quote request. For instance, Cart2Quote is based on an absolutely different principle. You get a separate cart for quotes, so there is the “Qdd to Quote” button on a product page. This method seems to be more convenient, but it is much more expensive. 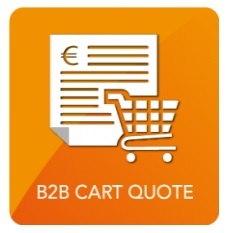 If you run a B2B Magento website, that Ecomwise Cart Quote is a must have addition for your store. It will add a vital wholesale feature to the default functionality of the platform providing your buyers with the desired improvement. As for the extension’s price, you can purchase it for €199. 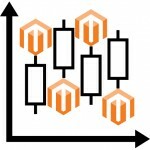 The Magento 2 version will be released soon, so the price is still unknown.